Gutter Protection Systems | Lenoir City, TN | Valley Vista Construction, Inc.
For us here at Valley Vista Construction, Inc., being the leading home improvement contractor in Lenoir City, TN, and the surrounding areas, means providing tailored solutions and lasting value to homeowners. We are a local, family-owned and operated company with an unwavering commitment to meeting our customers’ needs on time and on budget, and we are proud to have achieved this feat over and over again. We’re your neighbors and we want to improve this community with every professional job done – because we call it home too. 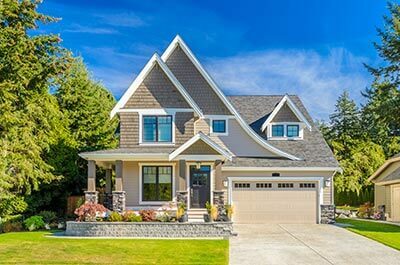 Roofing Replacements — We offer all types of residential roofing systems, including asphalt shingle, metal, and single ply. As a GAF® Master Elite™ Contractor, Valley Vista Construction, Inc. does not just install the highest quality products, but we also back them with industry-leading warranties. Roof Repairs — We offer free inspections and will provide a detailed report on our findings. Whether it’s patching a small leak or replacing a full section of the roof, we will restore your roof and make sure it is in the best possible shape to handle whatever the Tennessee weather throws at it. We will also work with your insurance company when necessary to ensure you receive every cent due to you for roof repairs and restorations. Gutters and Gutter Guards — Your gutters protect your home from flooding and moisture damage by collecting rainwater and channeling it safely away. We ensure this functionality is never compromised with our replacement and gutter protection services. Contact Us for Your Home Improvement Project in Lenoir City, TN Today! Don’t just take our word for it. Read what customers in Lenoir City, TN, and the other areas nearby have to say about Valley Vista Construction, Inc., and you’ll see for yourself just how dedicated we are to top-quality professional services from start to finish. Give us a call today at (865) 963-7003 to get started on your project with a FREE estimate. You can also reach us by filling out our contact form. We look forward to working with you.